Its love letter Wednesday again. 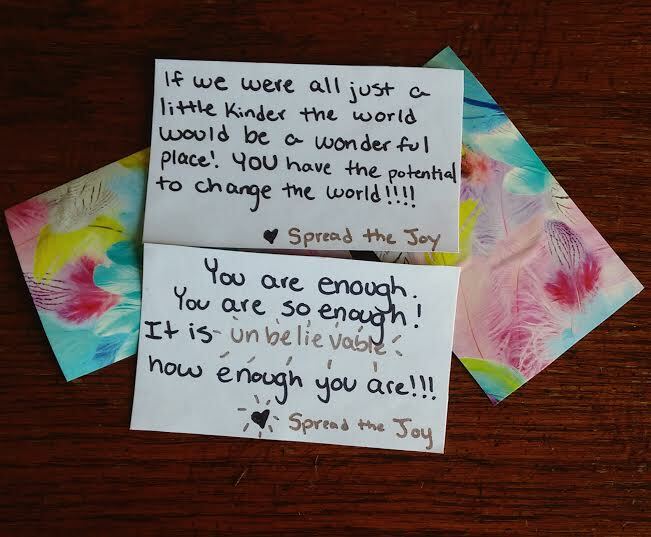 And this week I just want to share how easy it is to spread a little joy. You don’t have to write long elaborate letters in envelopes, you can just write a sentence on a note card. I was in TJMaxx the other day and I saw this really pretty wrapping paper! Which was actually a great thing because I was trying to think of an excuse to buy it which reminded me that my sisters birthday was coming up!! So after wrapping her presents I didn’t want to waste the scraps. So I just glued the note cards onto the scrap and then cut the note cards off after writing my love notes! 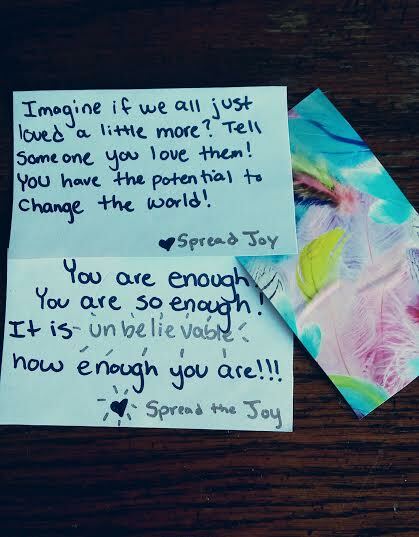 I like to keep a couple note cards in my bag at all times, you never know when a good time to spread a little love will come along!